HVLS or high-volume low-speed fans are used in industrial and commercial premises, moving large amounts of air. This is the most efficient type of fans. HVLS fans can be used on their own or in combination with existing heating or cooling system to provide better comfort and lower energy expences at the same time. 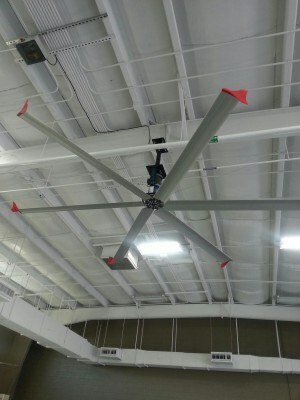 Read 10 facts about HVLS fans to see how they help cut on energy costs. You can find all the skyblade fan information at our new micro-website solely focusing on this excellent product (skybladefans.com.au)!